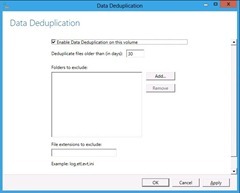 One of the long overdue features of Windows Server 8, is Data Deduplication. Deduplication can be enabled for NTFS volumes, and is part of the File Server role. Deduplication works by examining the files on the disk, looking for duplicate files, once one is found the duplicate file will be referenced to the first file found. This means that two identical 1GB files, would only take up 1GB (The First File) + 4KB (The second file that points to the first file). This will intern allow us to store much more data onto a single disk. 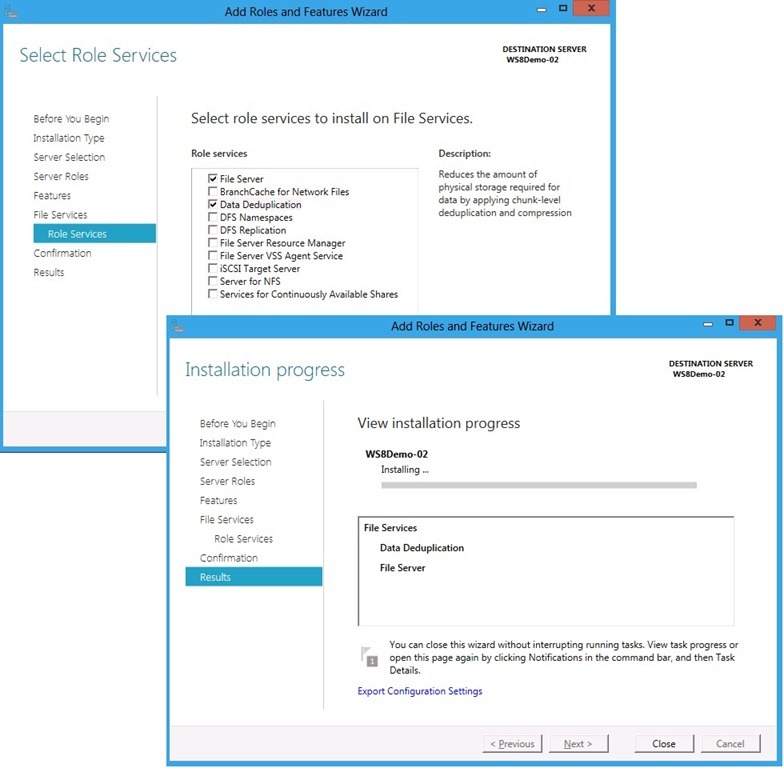 The first step is to add the data deduplication role service; this is done in the new Server Manager and is a single step. 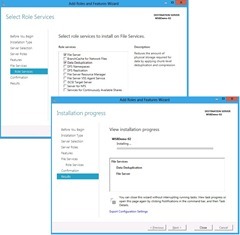 Once the role is installed, the next steps are to start the Data Deduplication Service (ddpsvc) and set it to Automatic startup. This is done in the normal services management snap-in. 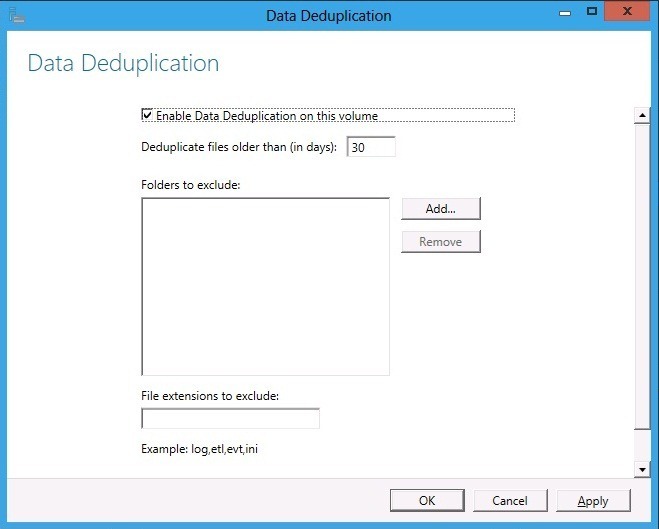 Then, each eligible volume needs to be configured for deduplication. Keep in mind that C:\ drives are not supported for NTFS deduplication, Configuring a volume for deduplication is done by right-clicking on the volume in Server Manager and selecting â€œConfigure Deduplicationâ€.